Jailbreaking is a procedure applied to iOS devices, wether they are an iPhone or iPad, where the operating system is modified to allow the installation of apps not available on the AppStore. This procedure is possible due to security bugs found on iOS and they are being exploited in such way to modify the system and running code not signed by Apple. Because of this not all the iOS versions are possible to jailbreak and it is more difficult to find this security bugs on new iPhone versions. When you jailbreak your device a new kind of apps and modifications you can apply to your device. With the jailbreak you can install tools that modify the system and add features that are not available on a normal or non-jailbroken device. The first app installed after jailbreak your device is an app called Cydia, which allow us to find apps and system modifications tools that we can install. Among all of this apps you can find OwnSpy, which won't be possible to install without a jailbreak because Apple will never allow this kind of apps on the AppStore. Performing a jailbreak is safe and useful because it will allow new apps and tools never available otherway. Sometimes people thinks that jailbreak is the same as piracing, however this is not true. You can in deed install pirated apps when you jailbreak your device but we do not encourage to do so. Some of this pirated apps may include viruses and other monitoring tools. There is a huge community behinf the jailbreak and they create wonderful apps and tools and they are against apps piracy. 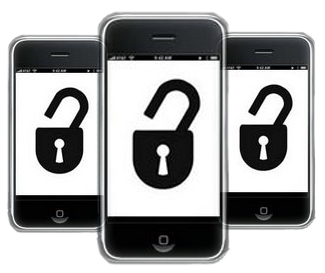 From OwnSpy we encourage you to enjoy the jailbreak and to not crack applications of any kind. Please keep in minf that behind every app there is someone who inveseted time and money to create such app.